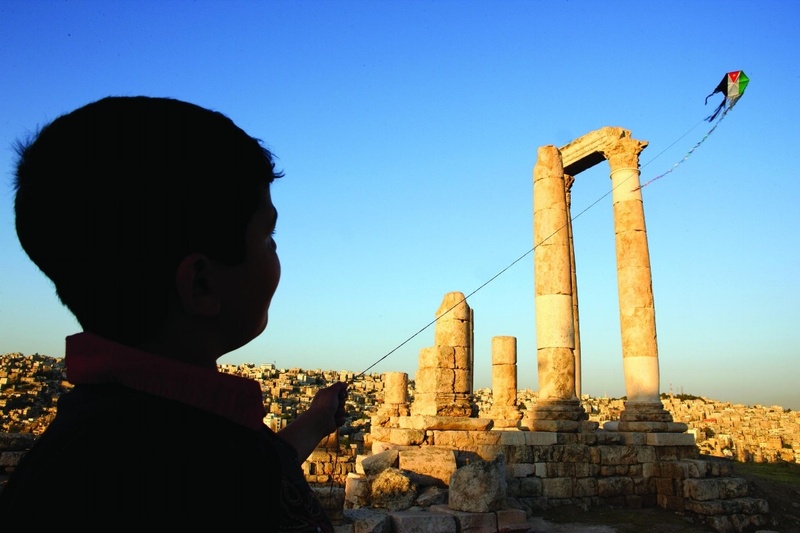 Want To See What History & Culture in Jordan is Like? Not Sure Where to Begin Your Journey? 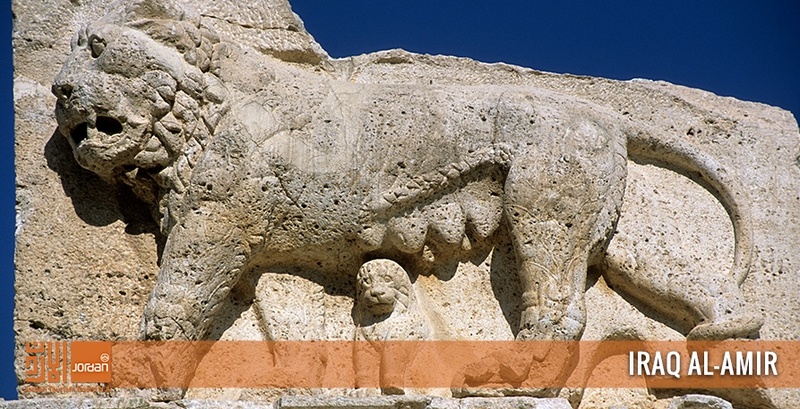 Check Out Our Custom 10-Day History and Culture Travel Itinerary. Head East of Amman and visit Jordan’s Desert Castles, showcasing beautiful examples of both early Islamic art and architecture, that stand testament to a fascinating era in the country's rich history. Their fine mosaics, frescoes, stone and stucco carvings and illustrations, inspired by the best in Persian and Greco-Roman traditions, tell countless stories of the life as it was during the 8th century. Several of these preserved Castles, all of which are clustered to the east and south of Amman, can be visited on one-day or two-day loops from Amman. 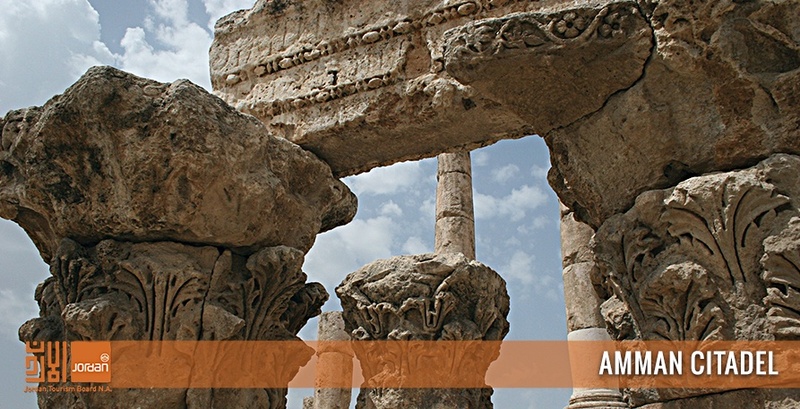 Don’t miss out on visiting Quseir Amra, one of Jordan’s four UNESCO World Heritage Sites! Head back to your hotel to freshen up for an evening of wine-tasting at the Zumot Winery headquarters in Amman where you will sample and learn how some of Jordan’s finest organic wine is made. Below is a list of activities that may take more than a day to enjoy. If you are short on time choose what you think is best based on your interest. 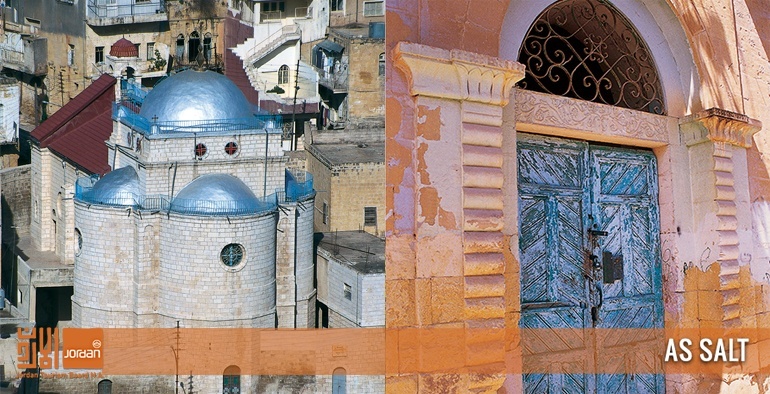 Amman is a fascinating city of contrasts, a unique blend of old and new. Visit the Citadel and the Archeology Museum which houses some of the Dead Sea Scrolls, the Roman Theatre in downtown Amman, enjoy a walk through the colorful Souq, stop at a coffee shop and enjoy local culinary delights, and meet the people, the heart and soul of the country. You can also catch a train ride on the historic Hejaz Railway and check out the Royal Automobile Museum where you learn more about the history of Jordan through Late King Hussein’s fleet of automobiles. Thirty minutes outside of Amman, an ancient town, As-Salt, was once the most important settlement in the area between the Jordan Valley and the Eastern Desert. Because of its history as an important trading link, it was a significant place for the region’s many rulers. Take a walk around the old town and explore the narrow streets, museums (archaeological & folklore), and visit a handicraft school where you can admire the traditional skills of ceramics, weaving, silk-screen printing and dyeing. Head back towards Amman and visit Iraq Al-Amir; located within the hills, the area has many springs and is famous for its olive trees, in addition to other forest trees. It was built by a Persian prince in the 3rd century BC. There are many caves in the hills that date back to the Copper Age. Precious artifacts, pottery, glass and weapons dating back to the Bronze Age and the Nabataean and Roman periods, as well as inscriptions, gold Islamic coins and the silver Ptolemaic hoard recently discovered at Iraq Al-Amir are displayed at the Exhibition of Arab Heritage and Recent Discoveries, which was opened in 1992. 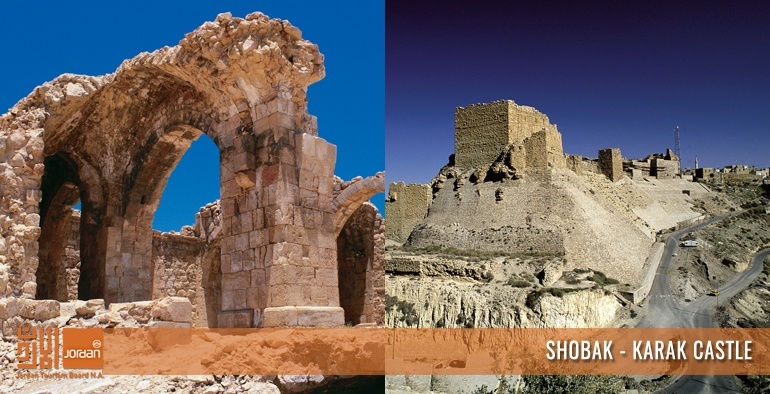 Don't miss out on these great promotions and deals on travel to Jordan now! 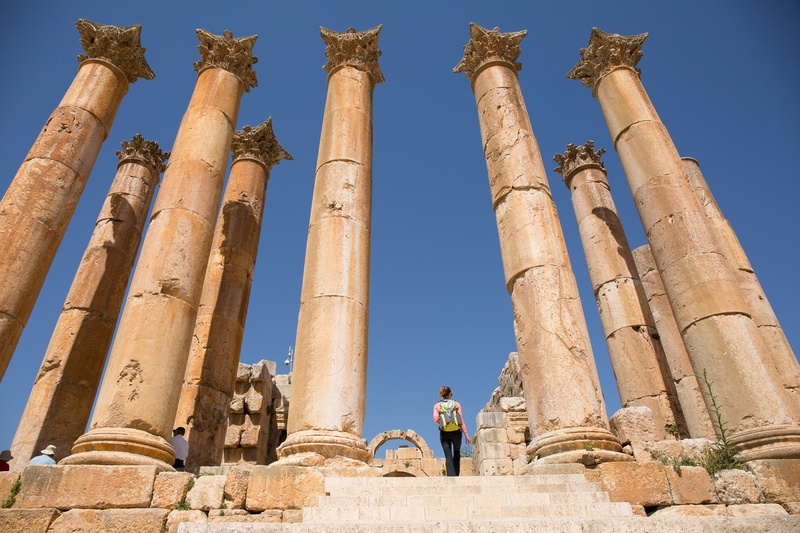 Your day will begin traveling north to the ancient city of “Jerash, the Crossroads of Civilization”, remarkable for its unbroken chain of human occupation. Here, in the hills of Gilead, you will find remains from Neolithic times, as well as Greek, Roman, Byzantine, and Omayyad civilizations. See a live performance of the Roman Army and Chariot Experience (RACE) at the hippodrome (if available). Head 30 minutes north of Jerash to Ajloun Castle, built by one of Saladin's generals in 1184 AD to control the iron mines of Ajloun, and to deter the Franks from invading Ajloun. Following Ajloun Castle, visit Umm Qays (modern Gadara) & Pella (Tabaqat Fahl), once Decapolis cities. Umm Qays is well known as the site of the famous miracle of the Gadarene swine, and Gadara was renowned in its time as a cultural center. Pella is a favorite of archaeologists as it is exceptionally rich in antiquities, some of which are exceedingly old. The Baptism site is located just east of the Jordan River - “Bethany Beyond the Jordan, Where John Baptized Jesus Christ”. 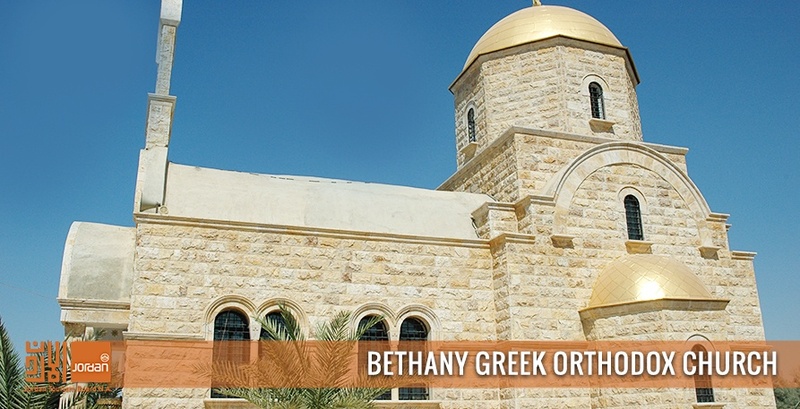 Bethany Beyond the Jordan has emerged as a major new destination not only for religious pilgrims but tourists from the U.S. and around the world. 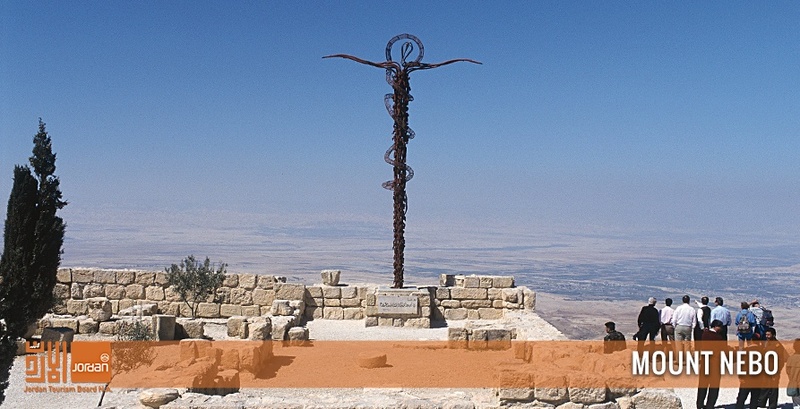 During the historic visit of His Holiness Pope John Paul II to Jordan on March 20-21, 2000, the pontiff visited the baptism site as well as Mount Nebo, where he viewed the Holy Land, just as Moses had done 2000 years ago. You will follow in the footsteps of the Pope as he retraced the path of Moses, Jesus and the prophets. Following your visit to Bethany Beyond the Jordan head to Mount Nebo, Where Moses Saw the Holy Land - Sixty years of excavation on the hilltop of Mount Nebo, where Moses viewed the Holy Land and is said to be buried, reveals a basilica church with one of the most magnificent mosaic floors in the world. From the platform in front of the church, you will have an inspiring, breath-taking view across the Jordan Valley and the Dead Sea to the rooftops of Jerusalem and Bethlehem. You will see what Moses saw. 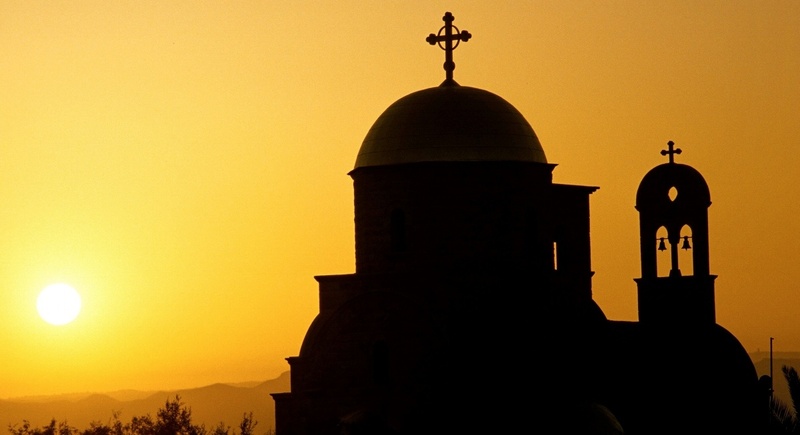 After Mount Nebo, head to Madaba, “The City of Mosaics”, once a Byzantine community and one of the most important Christian communities east of the Jordan River. Today it harbors a collection of extraordinary mosaics. First, enjoy a delectable lunch at Haret Jdoudna, in the heart of the city. 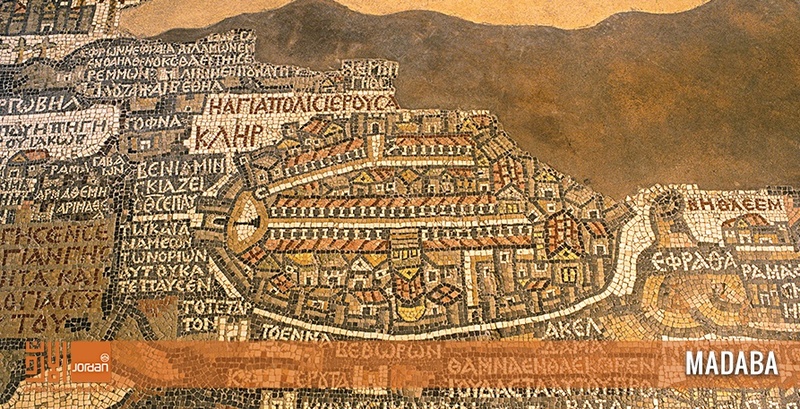 Following lunch, visit the Greek Orthodox Church of St. George that features a vivid sixth-century Byzantine mosaic map showing Jerusalem and other holy sites. On the way to Petra, make a quick stop at the ancient crusader city of Karak, dominated by the castle built by Baldwin I of Jerusalem in 1142 AD, which greatly impressed Lawrence of Arabia on his study tour in 1909. He spent many days exploring tunnels, dungeons and sketching the castle. Enjoy exploring this maze of stone-vaulted halls and endless passageways and make sure to bring a flashlight with you. If time permits, check out Shobak Castle, another reminder of former Crusader glory, less than an hour north of Petra. Once called "Mont Real", Shobak dates from the same turbulent period as Karak, perched on the side of a mountain, with a grand sweep of fruit trees below. Spend the morning with Indiana Jones in “The Last Crusade” as he charges through the desert gorge to the Treasury in search of the Holy Grail! 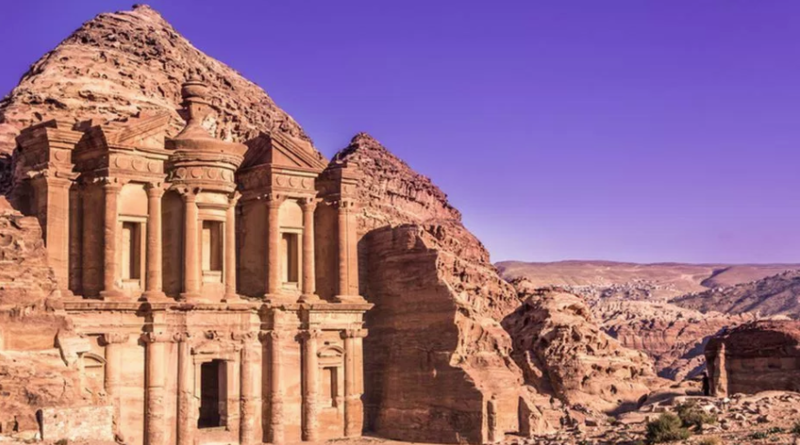 Jordan abounds in archaeological riches, but few sites in the world can rival the Nabataean city of Petra, carved out of the rose-red rock cliffs! The Nabataeans were an industrious Arab people who settled the area more than 2,000 years ago. Petra was widely admired for its refined culture, massive architecture and ingenious complex of dams and water channels. It served as a crossroad for trade and commerce. Lawrence travelled to Petra both before and during the war and was captivated by the majestic beauty of the Nabataean temples and tombs carved into the rock. Petra is a UNESCO World Heritage Site and is one of the new Seven Wonders of the World. This jewel of the middle east, surrounded by imposing mountains and approached through a deep, narrow cleft in the rocks known as the Siq, Petra is a unique and unforgettable place, an altogether overwhelming experience that neither you or your family will forget. Approaching the Siq you will follow its towering sandstone walls towards the site of the captivating and iconic splendor of the beautiful Khazneh (the famous Treasury), one of the city’s most iconic structures. A guided orientation tour will then take you to some of the key parts of this remarkable and ancient site, one of the most impressive and exciting anywhere in the world. You will explore the Royal Tombs and the Roman theatre, with its 8,000 seats carved from the solid rock that surrounds it. Enjoy lunch at the Basin Restaurant and continue to explore this ancient city. 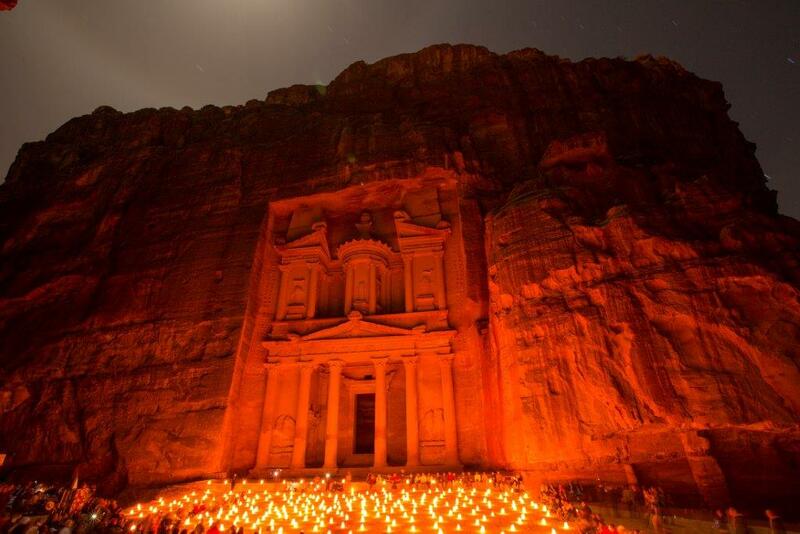 Hopefully, if you are in Petra on a night that it is available, the Petra by night tour is a must! Tours start at 8.30pm and finish at 10.00pm every Monday, Wednesday and Thursday. 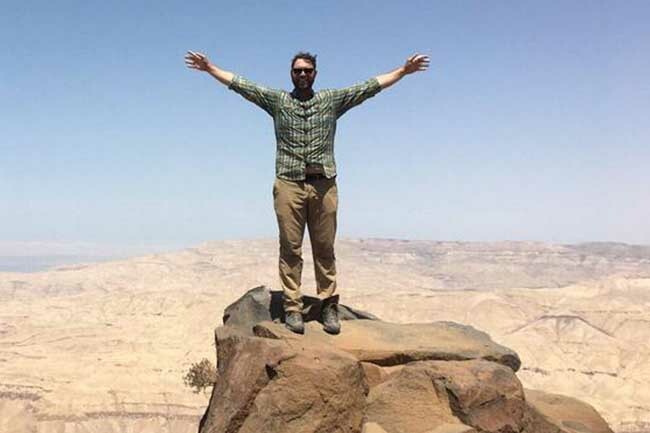 Return to the city the next day and you can climb steep paths to the sacrificial ‘High Places’ (altars) and hike to the top of Jebel Harin (1396m) for a stunning view over Wadi Araba and the Negev Desert. The Monastery is the largest of Petra’s monuments and certainly worth the climb up to it. Towering to a height of 40m its doorway alone measures 8m in height, dwarfing anyone framed within it. This is truly a place to lose oneself in the history and ambience of the past. Drive for 10 minutes down the Wadi “Valley” to Little Petra historically known as “Al Beidha”. It may not be quite as monumental as the main site but it was an important suburb of Petra and there is still much to see here. This evening, head to the Petra Kitchen for a relaxed, informal atmosphere where you will gather to prepare an evening meal, working alongside local women and men under the supervision of a local chef offering an evening of learning, fun and a very special dining experience, with each dish bearing the special flavor of a reward well-earned. No trip to Jordan is complete without a visit to the infamous UNESCO world heritage site, Wadi Rum. This extraordinary desert landscape is where Lawrence of Arabia operated throughout 1917 and launched the strike on Aqaba. It provided David Lean with his most memorable movie locations. 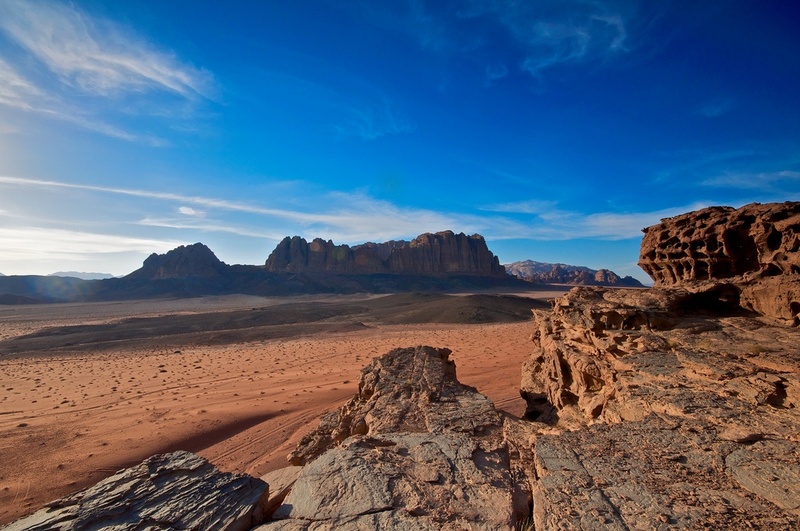 “Vast, echoing and God-Like” is the way Lawrence described Wadi Rum, where you will enjoy this largest and most magnificent of Jordan’s desert landscapes. Your experience in Wadi Rum can begin with a visit to the museum, craft shops and a sumptuous lunch at the Visitor’s Center. The Visitor’s center is also where all vehicle tours operate from and where you must register and pay the entrance fees to enter the protected area. After lunch, venture off the beaten path in a four-wheel-drive vehicle to explore the desert and see up close the “Seven Pillars of Wisdom,” about which Lawrence wrote, as Lawrence’s spring and what’s left of the house in which he resided. Wadi Rum is indeed a foreign world, so make sure to take in the stars at night as you lay by a camp fire outside your Bedouin tent, but only after tasting the best cuisine of Wadi Rum, Zarb, which is cooked in the ground! Oooh and tea at sunset in the middle of the desert is really a MUST! 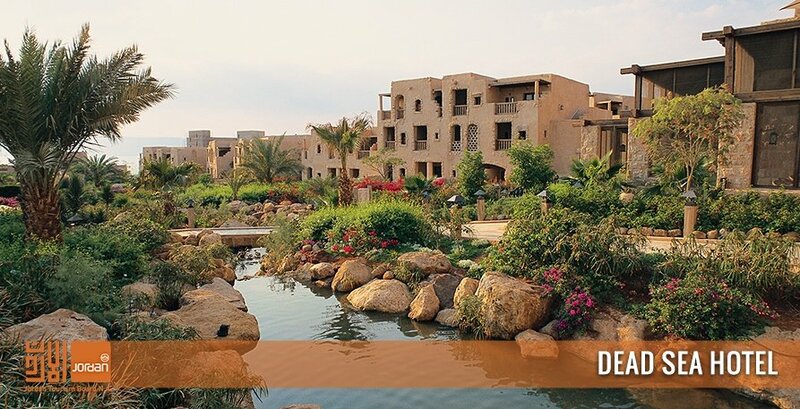 After exploring Lawrence's path in the desert head to Aqaba, a year-round resort. The port of Aqaba became a major supply base for the advancing Arab Revolt. The Red Sea and its surrounding pink mountains is truly one of nature’s most breathtaking sites. Enjoy a lunch cruise on the Red Sea and make sure to take in one of the many options of water sports offered. One of the most beautiful attractions in Aqaba is the untouched coral reefs. Scuba dive through the shipwreck or snorkel in one of the reserves. Sunbathe at your leisure and spend the evening walking and exploring the downtown of Aqaba and go shopping in the souq, stop for tea/coffee and chat with locals at a local coffee shop. Make sure to try Jordan’s famous fish dish Sayadeyeh. Make sure to visit the Mameluk Fort, one of the main historical landmarks of Aqaba, originally a Crusader Castle. It was rebuilt by the Mameluks in the 16th century. Square in shape and flanked by semicircular towers, the fort is marked with various inscriptions marking the latter period of the Islamic dynasty. 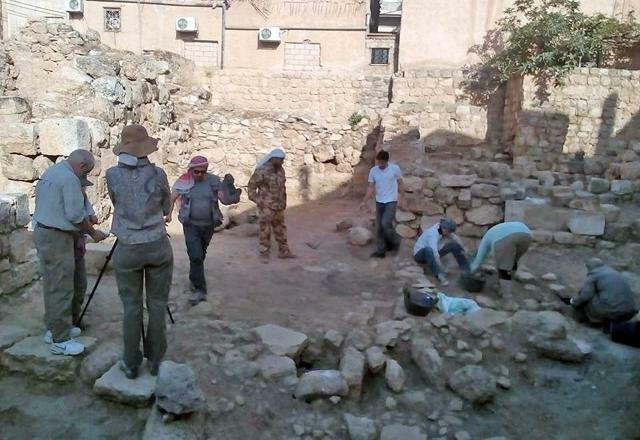 History and Culture Travel to Jordan? Sign up for offers, promotions, and discounts! Depart Aqaba and head towards the Dead Sea, the lowest point on Earth at 400m (1,312 ft.) below sea level. 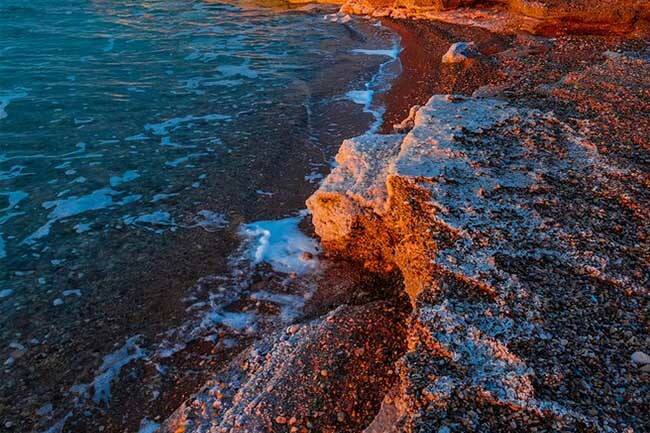 The curative properties of the Dead Sea have been recognized since the days of Herod the Great and Queen Cleopatra. A series of good roads, excellent hotels with spa and fitness facilities, as well as archaeological and spiritual discoveries make this region as enticing to today’s international visitors as it was to kings, emperors, traders, prophets and pilgrims in antiquity. Enjoy a relaxing day and treat yourselves to a soothing massage, or try the renowned healing powers of the minerals right from the sea’s muddy floor. Enjoy a beautiful sunset dinner at the Dead Sea Panorama Complex that sports an indoor dining area and an outdoor dining terrace where you will enjoy the dazzling views of the Dead Sea and the surrounding mountains at every turn. Make sure to check out the exhibition at the Dead Sea Museum, located within the Dead Sea Panoramic Complex, which covers all aspects of the Dead Sea including its geological, ecological, archaeological, and historical origins, as well as the future conservation of the Dead Sea. AdventureNEXT Near East is a specialized regional conference that builds upon more than a decade of Adventure Travel World Summit events around the globe and also the milestone AdventureNEXT event in Southeastern Europe, where tourism representatives from across the Balkans region gained momentum to promote responsible tourism and expose the region to high value global travelers. 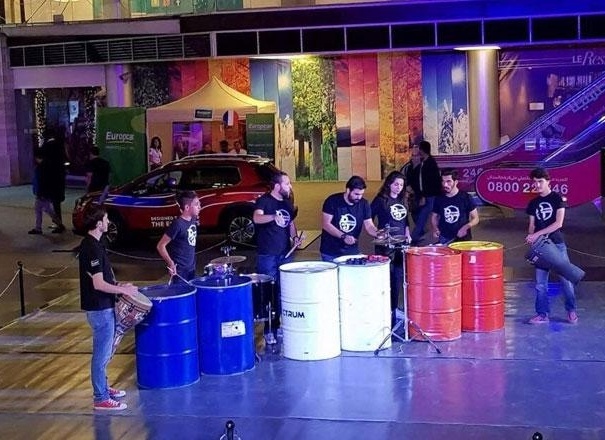 Tourism professionals from within Jordan and surrounding countries, along with international tour operators and media with an interest in the region, are invited to access hallmark educational keynotes and breakout sessions, a business-to-business tour operator marketplace and connection to travel media. What is the Jordan Trail Thru-Hike? 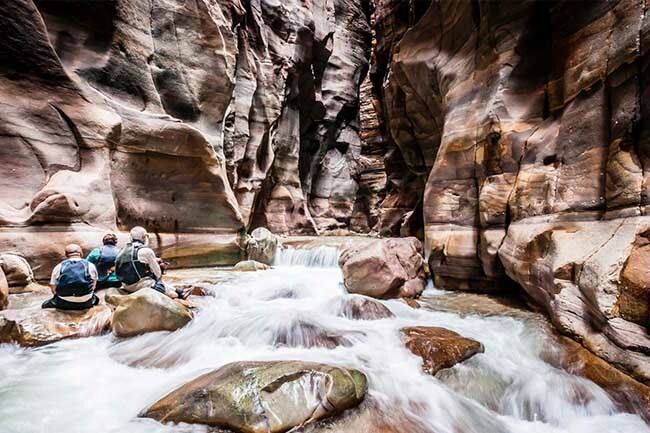 The Jordan Trail Thru-Hike is a long distance hiking trail in Jordan connecting the length of Jordan from Um Qais in the north to Aqaba in the south. Offering 40 days of hiking over more than 650 kilometers of trail, and travelling through 52 villages and towns on its way. 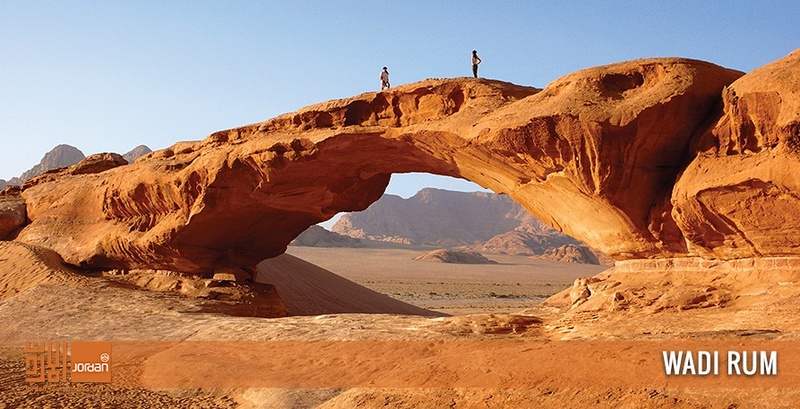 The trail traverses the diverse landscapes and vistas of the country, from the rolling wooded hills of the north, the rugged wadis and cliffs overlooking the Jordan Rift Valley, the rose rock of Petra, the dramatic sands and towering mountains in Wadi Rum, to the crystal waters of the Red Sea. 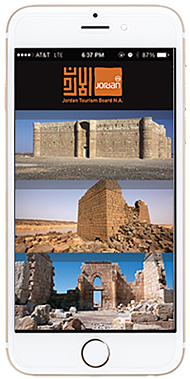 For more information about planning a trip to the Jordan Trail, check out the Jordan Trail Association.